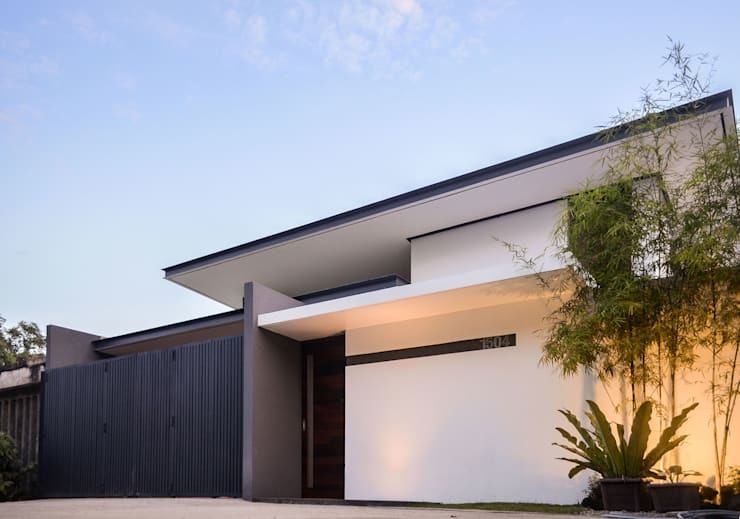 The R House is a single-storey residence for a family of four in Talisay City. It has an interior floor area of 90 square meters enclosing four bedrooms, two bathrooms, and a collective space for the living area, dining area and the kitchen. Situated in the center of a 218-square meter lot, the bedrooms and the living spaces utilize the building setbacks as adjacent open outdoor areas; Along the walls are glass sliding doors to extend the interior spaces to the outdoors, letting natural light and ventilation into the house. Its exterior design employs the use of concrete and steel in defined lines and planes, set in a manner that evokes weightlessness despite the heavy nature of the materials.